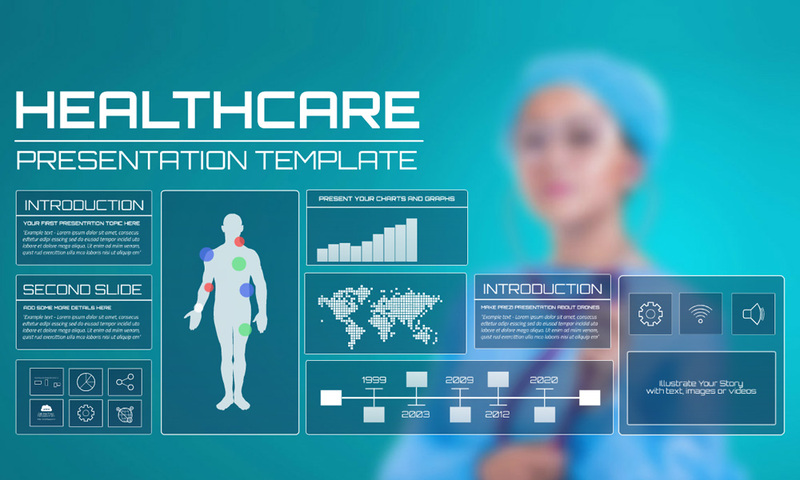 A futuristic healthcare related Prezi presentation template. A technology screen display with a nurse on the background. Present about healthcare, hospitals, nursing, drug research, pharmacy, future of medical services or talk about your company. Includes various elements: make a timeline, zoom into world map locations, and highlight parts of the human body. A multipurpose medical presentation template with a modern technology theme. This entry was posted in Best Prezi presentation templates and tagged 3d, about, and, backgound, backgroud, background, backround, best, drug research, future healthcare screen, future medical screen, health, healthcare, healthcare online services, healthcare technology, IT medical, laboratory, medical, medical display, medical presentation, medical prezi presentation, medical screen, medical technology presentation, medical technology presentation template, nurse, online medical services, Pharmacuticals, pharmacy, presentation template medical, prezi template.